It’s almost Spring, and that means yard sale and flea market season are in full swing! 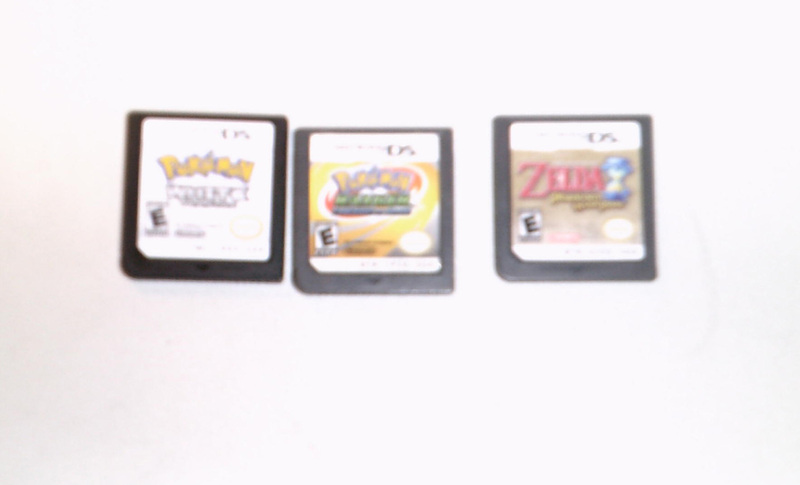 It’s the perfect time to go out and finds some awesome games for cheap, as people clean out their garages and attics and sell the treasures they find. Let’s see what I found this week. 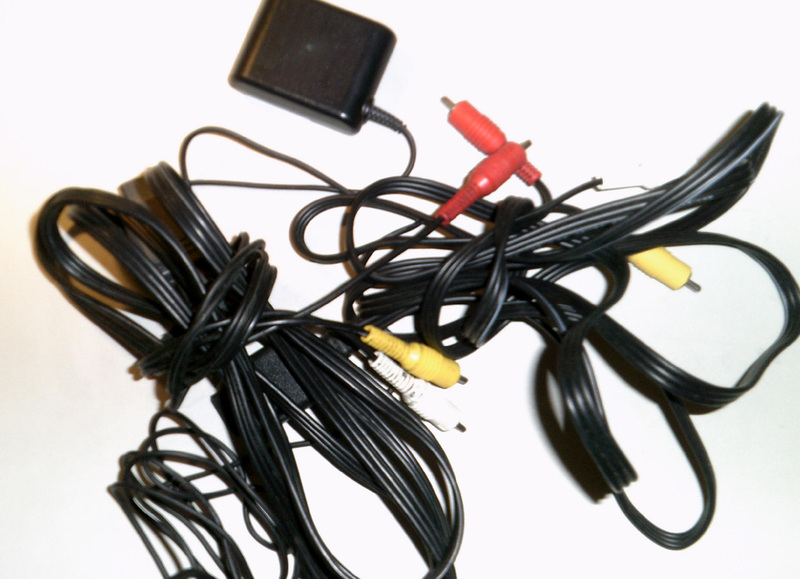 More often than not, whenever I find Nintendo consoles in the wild, they’re missing the AV cables. Which is why when I found these two at my local ReStore for $1 each, I snapped them up. Also found a Gameboy Micro AC adapter, which tend to be hard to find as well. 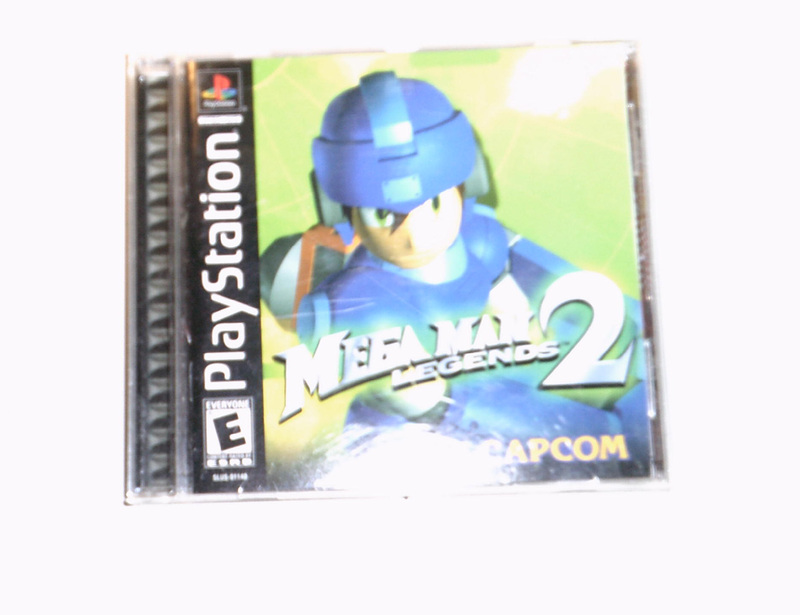 And finally, I don’t often find PS1 games in the CD bin at Goodwill, but when I do, it’s Mega Man Legends 2. A cool $5 purchase. I’m not ashamed to admit it… I’m a regular watcher of the Pokemon cartoon. Have been since the series first started airing back in 1998. And I do admit to suffering burnout from the series toward the end of the “Advanced Generation” era; the whole Team Magma vs. Team Aqua arc had tremendous promise, but it all petered out in the end, the same could be said for Ash’s journey, as the show set up plotlines that never really played out. I tended to tape episodes and not watch them until much later. It wasn’t until Nintendo booted 4Kids from dubbing the series that my interested picked back up, which is fortunate, since the Pokemon DP series is probably the best written and best paced era of the series by far (yes, better than Kanto was, and remember, this is coming from a longtime fan). Plot points that were seeded early on actually paid off, side characters made return appearances instead of just being a random “Character of the day”, Ash had a serious rival that he butted heads with constantly, and the Team Galactic story arc was interesting and kept you guessing. There was also the matter of very little meddling with the source material with 4Kids gone (no more obnoxious paint edits to hide Japanese food), and the replacement voice actors that everybody whined about really grew into their characters and made them their own (at times even out-performing the original actors). Overall, I really enjoyed the show and looked forward to new episodes each week. Which makes me rather sad to see the final episode of the Diamond and Pearl series. It’s a fine episode, as it wraps things up for each character… Ash naturally continues on his path to be a Pokemon League Champion, Dawn decides to fine tune her skills with some Pokemon Coordinators she met earlier in the series, and Brock makes the decision to study and become a Pokemon Doctor. Even Jessie, James and Meowth earn themselves a promotion within Team Rocket… by lying on their recent status reports, of course. I do look forward to the new Black/White series, though I am afraid it probably won’t be nearly as good as the D/P saga was. The mere fact Team Rocket is no longer the comedic bumblers they used to be has me worried, as is the way the new series is apparently apeing the earlier Kanto series (right down to duplicating the stock footage of Ash spinning his cap and throwing a Pokeball). But only time will tell. At the very least, I’ll have the D/P box sets to rewatch.